The power of Kundalini yoga lies in the actual experience. It connects right with our heart and extends our consciousness so we may have a wider horizon of grace and knowing the truth. Kundalini, a powerful aspect of yoga, is growing in popularity worldwide. 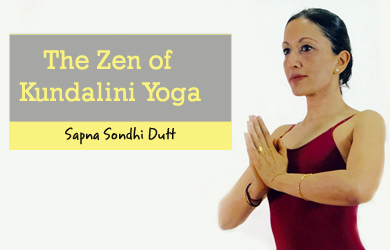 This is one of the most sacred aspects of yoga and has an intriguing history. There is no ideology that has been more durable, more amazing and more life-transforming than Kundalini Yoga. An ancient Sanskrit word, “Kundalini” literally connotes a “coiled snake.” As believed and explained in the ancient Indian scriptures, every individual has been endowed with the sacred energy of creation at the base of their spine. The belief holds that humans are born with this energy. However, it is for us to make the effort to uncoil the snake or Kundalini within us. When successful, we are placed in direct contact with divine energy. In short, this aspect of yoga is also deemed as the practice of awakening of our higher self and turning potential energy into kinetic energy. Kundalini, unlike most ancient religious philosophies, does not embosom any kind of strict regulations or teachings. Kundalini’s pure nature has guided generations of seekers to find personal meaning in their practice. The objective of this branch of yoga is to enable us to become selfless, to realize our own higher self. Kundalini is purely a tool, available to every individual on his/her journey, to attain personal revelation. 3 WHAT TO EXPECT IN A YOGI BHAJAN KUNDALINI YOGA CLASS? 6 HOW IS IT DIFFERENT FROM OTHER FORMS OF YOGA? The earliest mention of this yogic form dates back to the sacred Vedic collection of writings, the “Upanishads” which means “sitting down to hear the teachings of the master”. This is what the first Kundalini classes were all about; masters sitting down with students, giving oral recitations of spiritual visions. History also states that Kundalini was a science of energy and spiritual philosophy before its physical practice was introduced and developed. Since its origin, Kundalini Yoga was not taught publicly and was treated as an advanced education. Students were required to go through numerous years of initiation before they were allowed to learn the spirit-body lessons of the Kundalini masters. For years, the science of Kundalini was kept hidden, passed on in secret from a master to a chosen disciple. Teaching Kundalini outside the secret society of the Indian yoga elite was unheard of. It was believed that the general masses were not prepared to access such powerful knowledge. Hence, Kundalini was veiled in secrecy until 1968, when a holy Sikh rebel named Yogi Bhajan decided to take a one-way flight from Punjab, India to Toronto, Canada. According to the tradition of Kundalini Yoga, God is not a personified deity up in the heavens. The essence of God is the same essence in his beings. God is creative consciousness, the energy from which all things flow, including ourselves. We are capable of accessing Brahman or the “Supreme Cosmic Spirit” because we are already a part of it. In other words, we are each individual expressions of the same collective energy. Kundalini is the method to shake off our false ego narrative of separation and experience the true nature of our existence. A structured Kundalini yoga class today is a mix of movements, dynamic breathing techniques, study of spirituality, physical practices, meditation, and the chanting of mantras, like Sat Nam, which means “truth is my identity”. 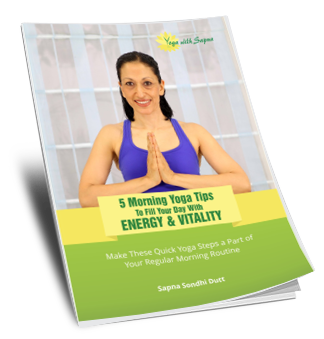 The goal of the practice is building physical vitality and increasing consciousness. 5-10 minutes of warm-up often including spiritual teachings from the instructor. Tune-in with the Adi Mantra: Chant Om Namo Guru Dev Namo three times before beginning any warm-ups, kriyas, or meditation. Kundalini Yoga, being the yoga of awareness, guides us to listen to our bodies and do what works best for us. We are urged to challenge ourselves to extend just past whatever we think our limits are. If we wish to shorten an exercise, we should shorten all exercises in the kriya proportionally. In a class,we should feel free to ask for clarification on an exercise or other aspects of the practice. We can drink water as required in between exercises. WHAT TO EXPECT IN A YOGI BHAJAN KUNDALINI YOGA CLASS? During a Kundalini class, the first thing we notice is everyone wearing white. A tradition, in this form of yoga, teachers are to wear white clothes and a white head covering. It was taught by Yogi Bhajan that wearing white expands our auric radiance by at least one foot giving us the potential to , feel solid in our identity, and to automatically filter any negativity or negative influences. The head coverings are effective for , focus, meditation, and protection from other energies that exist in our practice space. Furthermore, the white attire assists a yoga teacher to keep the space of the room, sacred for all participants. The second observation we would make is that the sequence of every Kundalini Yoga class anywhere in the world would be the same as the one mentioned in the techniques above. At the end of the class, a teacher bows to honor his/ her students, acknowledging their divinity and true essence. Classes are generally 90 minutes long. Thirdly, we see practitioners of Kundalini yoga recite mantras all the time. We will be chanting a positive mantra, and we will likely be chanting in Gurmukhi or Sanskrit. The fourth thing that we will experience and notice in a kundalini yoga class is in the way we breathe. Kundalini Yoga is all about the powerful breath. When we breathe deeply, powerfully, and intentionally, we are energizing our bodies and our minds. In this way, we are clearing up blocked energy and building up our reserve energy so that when stress shows up inevitably, we have the capacity to handle it. As we stay with Kundalini Yoga, with a good amount of disciplined practice behind us, while meditating, we may begin to witness divine visions, experience divine smell, taste, touch, and divine Anahata sounds. It is said, in this deep meditative state, we receive instructions from the Supreme Power. These experiences indicate that our Kundalini Shakti has been stirred and awakened. When we feel the throbbing in MuladharaChakra and our body hair stand on their roots, and Uddiyana, Jalandhara, and Mula Bandha come to us involuntarily, then we should know that Kundalini has indeed begun to awaken. our breath is able to stop for brief stretches without any effort or Kevala Kumbhaka comes by itself. we feel currents of Prana rising upwards towards the Sahasrara chakra (meaning “thousand-petaled”Chakra ), at the crown of our head. We experience bliss upon repeating ‘Om’ repeatedly , and all thoughts of the outer world are flushed out of the mind. Our eyes are fixed and steady on Trikuti, our Third Eye or the region behind the forehead and in the middle of the eyebrows. This means we are holding the Shambhavi Mudra. We feel as if we do not have a body, our eyelids remain heavy and closed because we are so completely withdrawn inwards. We feel electric-like currents flowing up and down the nerves. We seem to have a clear understanding of the Vedic texts or the “truths” of life. Our body becomes light like air, our mind is in a balanced state and we possess inexhaustible energy for work. We can involuntarily perform different Asanas or poses of Yoga without the least pain or fatigue,showing “prana” – “life-force” is flowing abundantly through us. We are able to compose beautiful sublime hymns and poetry involuntarily. showing our aesthetic and creative self is awake. All of this helps us know that Kundalini has become active. We may be able to remain in this state briefly or longer, but we need to be a true “sage” to maintain this state continually. Kundalini awakening is often said to be very dangerous, accompanied by tremendous heat and pain. This happens with many people who have tried experimenting with this form of yoga in a recklessly naive manner, without the proper guidance of an experienced Kundalini teacher and most importantly before first slowly, diligently, strengthening both body and mind for this huge challenge. In such unguided cases, the Mooladhara chakra, which is responsible for guarding the innocence of the Kundalini energy, acts against this violation by generating waves of heat. If done without guidance, we may also experience fits and seizures, losing control of body and mind, in the process also experiencing hallucinations. In the bliss of ignorance, a person might sometimes associate these warning signs with Kundalini awakening itself, and believe to have undergone a profound experience of enlightenment whereas their face would only reflect all the anguish that they have gone through. HOW IS IT DIFFERENT FROM OTHER FORMS OF YOGA? In Kundalini Yoga, teachers teach the sets of postures and meditation drills taught Yogi Bhajan himself. During his teaching career in the West, Yogi Bhajan taught his students Kundalini Yoga at least once in a day for over 30 years. During these classes, his students would earnestly take notes and record the meditations and yoga sets that were taught. As a result, teachers and practitioners of Kundalini Yoga have thousands of individual meditations and yoga sets that they can choose from to teach and/or practice. Kundalini Yoga, of the Yogi Bhajan lineage, differs from other forms of yoga in that it was built, keeping in mind the “householder”. The practice has been designed for people who do not have the time for doing extensive yoga and meditation to get to a state of elevated consciousness. It was designed for people who have to cope with the daily challenges and strain of holding on to jobs, raising families, and managing businesses. It is a path for everyone who wants the skills to cope successfully with the challenges of our times. The nature of Kundalini shakti/energy is such that when it is still, we do not realize that it exists. It is only when our Kundalini awakens that we realize there is so much power within us. Once our Kundalini is aroused, we witness miraculous things happening to us, which we never even thought was possible. We experience a completely new level of energy unleashing within our bodies and our entire perception and engagement with life changes. After genuine Enlightenment (Self-realization), our faces exuberate with radiance, we look much younger, and the body becomes more active and well-proportioned. Our entire personality becomes beautiful and magnetic and as our priorities change, we assume a dignified and glorious attitude towards life. Kundalini Yoga is so efficient and so effective that even if we spare a short while every day, we will begin to experience a shift in our lives. The knowledge and science of Kundalini are not limited only to Yogi Bhajan and his followers — all yoga masters have knowledge and experience of the same. So one can go to any genuinely experienced teacher to get on the right path. It would be sad to go through our human lifespan without knowledge and experience of this potent energy hidden within us.